The IF Gathering women’s conference offered a weekend full of inspiring insight aimed at encouraging women to be mighty women of God. 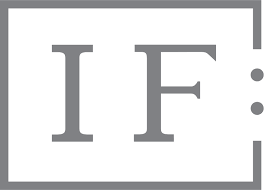 Listen as some of the Life’s Journey family shares what they learned at IF. Pastor Casey Kluver invited Youth Pastor Aaron Sybrant from New City Church of Great Falls, to come with his Intern team to share with our church. The team did some painting and maintenance work in the LJCF building as well as work in Lame Deer the last couple of days. Pastor Aaron asked Gabrielle Jones (Gabby) and Chad Schurman to share their testimonies with us. Gabby shared her journey of searching for a personal relationship with God. Chad shared how he did not believe in God, but God faithfully shows himself as God who personally knows and cares for him. Pastor Aaron Sybrant then shared the message of “Uncommon Wealth”. He spoke from Ephesians 2, focusing on 2:4 “But God is so rich in mercy” With powerful personal testimony, Andy reminds us that gratitude for such amazing grace is our part. Friend Day is an annual celebration in which Life’s Journey Christian Fellowship shares Jesus with our friends who might not yet know him or do not yet have a fellowship of their own to call home. This year, we enjoyed a time of worship, good food, fellowship and remembered the goodness of Jesus Christ. Listen and hear encouraging testimonies from previous Friend Day celebrations and an inspiring message from Pastor Casey on why Jesus is the center of everything.